Americanisms: Is folks a term of resistance? One of the fun (and frustrating) things about moving between countries and cultures is discovering that things are done differently than you have come to expect. This is particularly true of language. Some of it is local dialect – every time people in Philly say water (pronounced wuder, or wooder) I cant help but smile. Some of it is spelling (the famous aluminium or aluminum discussion) and some of it is just different words for similar things; do you say car boot or trunk? And in my house the biscuit/cookie & muffin/cupcake discussions can take epic proportions. Its germanic roots and use in modern german is what makes it a bit jarring. 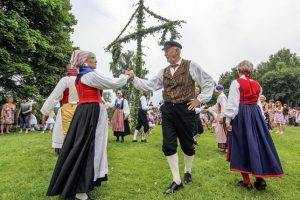 The term Volk has strong connections for me with the Nazi race ideology where the focus on volk was key – and its definition included elements of race, geography, and culture. The idea of volk was used heavily in their propaganda. They spoke of herrenvolk = master race; and volksgemeinschaft = racial community. And so much more. Naturally, the american use for the term doesn’t come from these roots, and as far as I can tell american nazis seem to favor race over volk/folk. The american use, as far as I can tell, is more connected with family, relatives, relations, and kinfolk (where are your folks from?) and is a word more used in casual conversation (think of sportscasters addressing the crowd -other terms would be too formal). Naturally it is also strongly connected to the rural world where folk music, folk art, and folk medicine stand in contrast with the urban experience. Not all white folks are experiencing this election in the same way. So I identify as queer. I come out of LGBTQ organizing. And for a lot of queer folks, especially a lot of trans folks, even if you’re white, especially if you’re queer and trans and poor, you’re experiencing this election and experiencing having these kinds of conversations with friends and family in different ways. So I would never say to folks you have to have this conversation. For a lot of folks, that isn’t safe for a whole lot of different reasons. Here folk is a group that shares a common interest that may be defined by race/color, but could also be defined by gender/sexuality. Its difficult to say that the word is being re-appropriated since the germanic volk seems not to have been a strong connotation in American English. But it does seem like the word is evolving to become a central term in activist circles which does make it a marker of resistance to traditional norms of white, cis gender power.